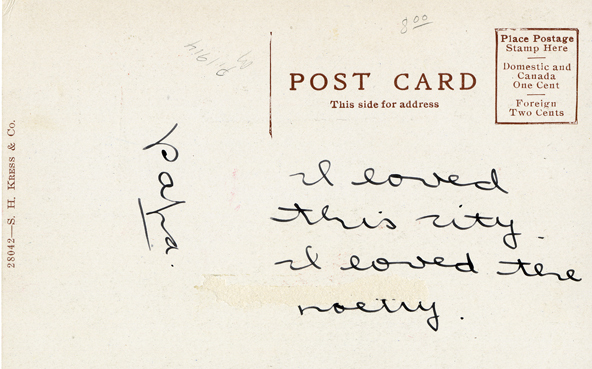 Written on the back of the postcard pictured below. 1914. Unidentified sender. 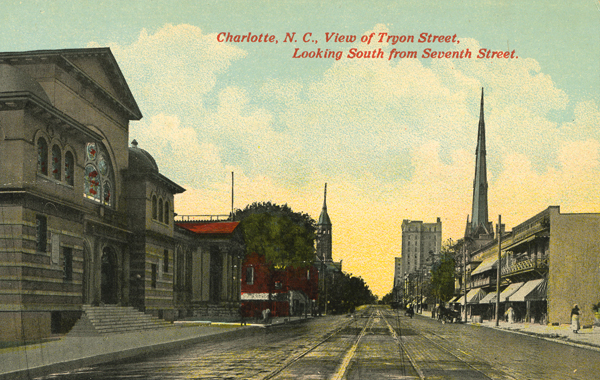 Charlotte, NC, view of Tryon Street, looking south from Seventh St. From the Mary Boyer Collection.